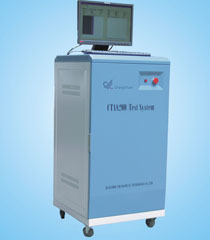 CTA8200 is a cost-effective digital-analog hybrid test system to test operational amplifiers, comparators, analog switches, power amplifiers, motor drives, Hall devices, three-terminal regulator, DC-DC power management, AC-DC power Manager, Li-ion battery protection circuit, radio circuits and other analog circuits. Windows XP/2000 operation system, C / C + + programme environment. User programming structure with copy function, similar products can save a lot of time programming. Mode selection list of available parameters to modify the test parameters and test conditions, no need to recompile the program, simplify the programming process. Support parallel test and ping-pong test, and connect all the probe sets and handlers.